Are you looking for a creative way to engage your children and get them excited about learning? There are many educational school supplies that don’t involve traditional math or English books that can effectively develop your children’s cognitive skills. Music is extremely important in the early development of a child. Research has shown that exposure to musical training can prepare a child’s brain for higher mental challenges and can improve their skills in non-musical domains, including spatial reasoning, reading, writing and math. 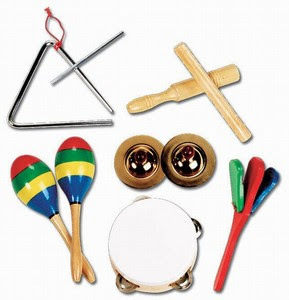 United Supply Corp has a range of back to school supplies and musical supplies, including percussive instruments (triangles, cymbals, egg shakers, glockenspiels, sleigh bells, hand drums, and maracas) and musical CDs and DVDs. Audiovisual educational resources focus on music, movement, art, drama and language, and equip children to recognize and reproduce rhythmic patterns, recognize sounds and instruments, and learn, sing and dance to songs. Resources are developed by a range of leading early childhood educators, including Greg & Steve, Dr. Jean Feldman, Dr. Pam Schiller, and Mr. Al & Stephen Fite. Bilingual CDs and DVDs are also available for native Spanish-speaking children and native English-speaking children who are learning to speak Spanish. Getting middle school students to stay focused can be a real hassle! That’s why we love Smart Starters – warm-up activities that help get kids in the mood to learn. The pre-algebra exercises in this book can be used to review a lesson from the previous week or even introduce a new topic. Learning by observation is one of the fundamental concepts of middle school science – and one that remains relevant in high school, college, and even graduate studies. This appealing chalkboard topper will provide a constant reminder of the importance of forming and testing a hypothesis. If you’re looking for back to school supplies, this poster set should be at the top of your list. Including four posters, four reproducible activity handouts, and an instructor’s guide, this set will help middle school students apply the writing skills they learned in elementary school to a more focused purpose. What Can I Find at a Discount Office Supply Store? You’re probably used to walking into an office supplies store and finding a wide selection of items – everything from pens and pencils to desks and chairs. But when you visit an affordable office furniture and supply store online, your selection gets even wider, especially when you choose United Supply Corp. We’ve got a warehouse full of 150,000 items that can help keep your office or home office running smoothly. 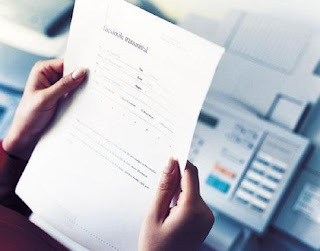 Ink & Toner: Printer ink and copier toner are valuable resources in many offices, and they always seem to be running out! Fortunately, United Supply Corp. makes it easy to save money on these important products. Whether you have a printer, fax machine, copier, time clock printer, or even a typewriter, our website lists ink and toner by device make and model, so you know you’re finding the right supplies for your machine. Office Equipment: Finding ink and toner is great, but what if you’re looking to upgrade your printer or fax to a brand new machine? At www.UnitedSupplyCorp.com, you can find devices by big-name brands like Brother, HP, Epson, and Canon. Best of all, you’ll be able to save hundreds of dollars off the MSRP with our discount office supply bargains! Even the best teachers can use a little help now and then! That’s why teachers classroom supplies are so important – these useful tools can help teachers structure their lesson plans and activities to provide the best possible learning experience for their students. Read on for some of our favorite teacher classroom supplies. Let’s face it, it’s hard to remember what is was like to still be learning the basics of reading, writing, and math, which is why this guide by Superbook® is an excellent resource for teachers. From simple tips to detailed activities, this book will help keep class time both productive and engaging. Standardized tests are standardized for a reason – they evaluate students based on key reading, math, and language arts skills that will help them well into adulthood. Whether a student is having trouble with some fundamental concepts or simply nervous about test-taking, this guide has the resources to get him or her ready for any standardized test. Everyone has a unique teaching style, and this Dictionary Skills workbook offers the flexibility to accommodate almost any methodology. A star among teacher classroom supplies, this resource’s vocabulary-building content is equally suited for in-class work, homework assignments, group activities, and extra credit opportunities.